If you've ever fallen hard for a trilogy, you know how powerful series fiction can be for readers. Young readers are no different! While stand-alone stories offer the satisfaction of completing the journey in one read, series fiction can help young readers develop a sustained interest in reading. That's been the case for my kids, so much so that I've come to believe series fiction is one of the great secrets of kidlit. Even when I'm working on stand-alone stories, I try to keep this series mentality in mind. As in, viewing the entire book as a series and allowing chapters to build in an organic way that makes the story easier to absorb. That is the particular magic of series fiction. A series offers young readers the chance to move quickly through new stories, as the characters and settings are sometimes familiar (although also sometimes not!). There are fewer obstacles to reading, because the reader is already primed with all the necessary back story information. That familiarity is encouraging to readers who are just learning to love books. 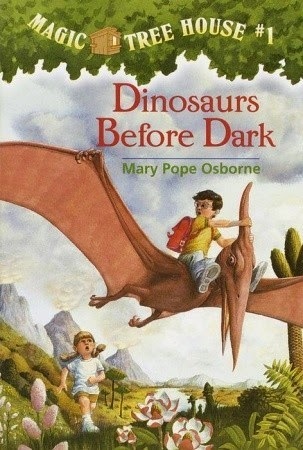 Some of our favorite early readers are the MAGIC TREE HOUSE series books. In case you aren't familiar with these books, a brother and sister discover a magic tree house that allows them to travel to other places and times, all while solving puzzles and riddles. My kids both loved the pace and imagination of this series, which has the added bonus of tons of geographical and historical fact! Each book in the series is short--only ten chapters, with an average of 4 pages per chapter. Perfect for individual reading before bedtime, with excellent illustrations and cliff hanger endings to keep your young reader coming back for more. A slightly older-age series that offers creepy stories are the GOOSEBUMPS books by R.L. Stine. These, too, offer fantastical plot lines, although there are different characters in each story. Think of them as X-files stories for kids, with nice, compact chapters that encourage young readers. 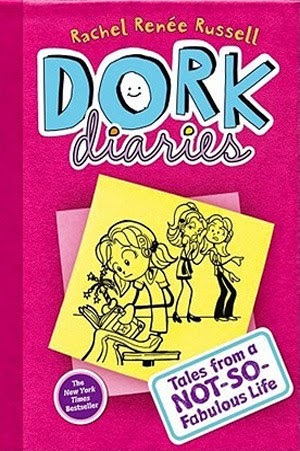 If you're looking for something with a graphic twist for readers who like illustrations with their words, the BIG NATE series books are fun reads, as are the DORK DIARIES. My kids both went through phases of devouring these kind of graphic novels, which have fast paced stories and punch lines on every page, as well as really realistic portrayals of friendship, school life and family struggles as kids get older and discover their own wants and desires in life. My older son has recently moved on to fantasy series with zero illustrations--a big step that I think he was willing to take after learning that he could, in fact, finish reading whole books on his own. That confidence is something that I attribute to these earlier series that kept him coming back for more, at just the right pace and with plenty of engaging characters. For books with page-turning action and a longer page counts, the WARRIORS series offers a more challenging but rewarding read for young readers. 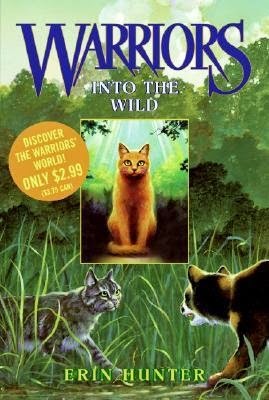 These stories feature animal protagonists who battle for survival among warring clans...of house cats. Yes, cats! My kid can't get enough of these stories. There are ShadowClans and ThunderClans, struggles for survival and honor, and ultimately lessons about friendship and loyalty. The series continues for many books, with many featured characters, and at 300+ pages each, they are no small reading task. Yet, the copies from our library are coveted and tattered, because they have struck a special chord that series fiction inspires in young readers: the love of characters, sustained over multiple stories and held dear to your heart. If you have series fiction to recommend, please share the titles in the comments! In 2nd grade, my daughter was obsessed with Ron Roy's A TO Z MYSTERIES. It was the first series that she read independently (in ABC order, of course) and then she raced through his CAPITAL MYSTERIES. I love the momentum these series provide for young readers.